London: John Wiley & Sons. Very Good+ with no dust jacket. 1947. Second Edition; Third Printing. Hardcover. John Wiley & Sons, NYC 1947, 2nd edition, 3rd printing. Hardcover, no jacket as issued. Very good condition. Cover is clean with minimal wear, slight spine tilt. Pages are intact and clean other than age tanning and light soiling inside covers as well as previous owner's info inside front. Pages otherwise unmarked. B/w illustration. 6a26 pages. ; 8vo; 626 pages; Largely concerned with the manufacturing processes involving metals, with one chapter on plastics. Well-illustrated with photos of period equipment, many figures. 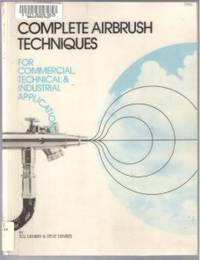 With line drawings and photographs, written primarily for engineering students, describing technical fundamentals of important manufacturing processes, materials and equipment..... (690) . Hyperion Books (Adult Trd Pap). Very Good. 1996. First Edition. Softcover. 0786882409 . Cover has moderate scuffing and light edge/corner wear. Pages are tight and clean other than approx. 5 pages with a small amount of red underlining, one page with yellow highlighting and a small name stamp on first blank endpage. ; 8vo 8" - 9" tall; 368 pages; "Burr is that rare bird, the journalist who writes well about science. Here, seemingly acting out of the journalistic lust for controversy, he reports on the neurological, endocrinological, and genetic inquiries into why some people are homosexual. 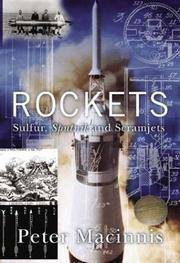 But although he regularly notes the politics involved and concludes with a chapter comparing the conflict over homosexuality with the Renaissance battle between church and science over heliocentrism, Burr concentrates on science and sends us on a modern odyssey full of intellectual adventure and revelation. He explains how one researcher discovered a possible difference between homosexual men and others in a particular neural nucleus in the brain; how the "gay gene" (actually, an allele, or alternative form of a gene) was found and how it works; and how genetic surgery (contemplated to be nonintrusive) might alter sexual orientation in adults. However far afield from the subject of sexual orientation Burr seems to stray, the side trips always reconnect with the main road. To counteract how the popular press has misrepresented certain research findings, such as that apparent gay brain difference, Burr reports what the researchers think their discoveries' significances are: the brain difference's discoverer actually claims his findings show only that further similar research holds promise for investigating sexual orientation. Burr also relays the counterarguments, many of them more persuasive, of scientists who think particular findings are either not so significant, misleading, or downright erroneous. Enthralling--unputdownable! --this may be both the gay studies book of the year and the popular-science book of the year. Ray Olson" (480-noto) . Barron's. Very Good+. 1992. Softcover. 0812047761 . Very nice, clean, tight condition. Ex-library book, but with minimal markings. Pages clean, cover has light wear at corners. Profusely illustrated. With all important celestial events up to the year 2000 and with a lexicon of celestial bodies. " 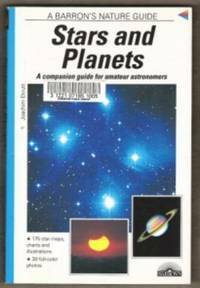 175 star maps, pictures of the constellations, and diagrams, 30 color photos of celestial objects; star maps and diagrams; maps of solar and lunar eclipses; A to Z dictionary of astronomical terms. [352-osl]; 8vo . 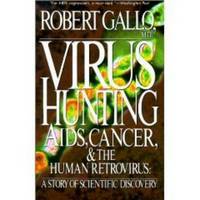 By Gallo, Robert C. , M. D.
Basic Books. Very Good. 1993. First Edition. Softcover. 0465098150 . Ex-library book, but still in very good condition - sturdy laminated cover and usual ex-lib type markings. Pages are clean and tight, cover has a little wear at corners. ; 8vo 8" - 9" tall; 368 pages; The renowned AIDS researcher Robert Gallo tells his story of scientific breakthrough in a riveting portrait of the people, the politics, and the pace of modern scientific discovery. (*photo shown is a stock photo)  . Pinnacle. Very Good+. 1989. First Edition. Softcover. 155817169x . Pages are clean and tight, light age tanning. Cover has light edgewear and a small amount of creasing. ; 12mo 7" - 7½" tall; 1 pages; When is right wrong . . . And vice versa? Find out in this collection of chemical conundrums, galactic puzzles, and astronomical anomalies. From the center of the human brain to the outer reaches of the universe, Asimov delights readers with his wit and charm. [155-noto] . London: N. A. G. Press. Near Fine in Very Good+ dust jacket. 1977. Hardcover. 0719800501 . 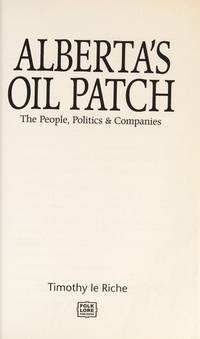 N. A. G. Press 1977 edition, same ISBN. HC/DJ - near fine/VG. Very nice clean and tight condition. Hardcover is unmarked, bumping to spine ends. B/w illustrations. Jacket has light scuffing, light edgewear, edge crinkling, no tears. The author's careful and detailed approach to the technical side of the craft has done a great deal to improve the standard of knowledge of a host of craftsmen, and has gained him readers around the world. 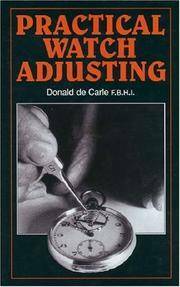 Contents: Condition of the Movement; Cleaning and oiling; Balance pivots; Fitting a balance spring; Fitting a Breguet balance spring; Positional timing; Observing the point of attachement and several others. [325-noto]; 8vo 8" - 9" tall . ALLEN LANE. Near Fine in Near Fine dust jacket. 2005. First Edition. Hardcover. 0713996994 . Excellent condition. Hardcover clean & unmarked, fine other than bumping to spine ends & one upper edge. Jacket has light edge crinkling, a little moreso to spine ends, front flap clipped. ; 8vo 8" - 9" tall; 512 pages; The universe has its secrets. It may even hide extra dimensions, different from anything ever imagined. A whole raft of remarkable concepts now rides atop the scientific firmament, including parallel universes, warped geometry, and threedimensional sink-holes. We understand far more about the world than we did just a few short years ago -- and yet we are more uncertain about the true nature of the universe than ever before. Have we reached a point of scientific discovery so advanced that the laws of physics as we know them are simply not sufficient? Will we all soon have to accept explanations that previously remained in the realm of science fiction? Lisa Randall is herself making these extraordinary breakthroughs, pushing back the boundaries of science in her research to answer some of the most fundamental questions posed by Nature. For example, why is the gravitational field from the entire Earth so defenseless against the small tug of a tiny magnet? Searching for answers to such seemingly irresolvable questions has led physicists to postulate extra dimensions, the presence of which may lead to unimaginable gains in scientific understanding. Randall takes us into the incredible world of warped, hidden dimensions that underpin the universe we live in, describing how we might prove their existence, while examining the questions that they still leave unanswered. Warped Passages provides an exhilarating overview that tracks the arc of discovery from early twentieth-century physics to the razor's edge of today's particle physics and string theory, unweaving the current debates about relativity, quantum mechanics, and gravity. 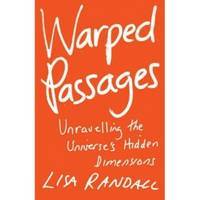 In a highly readable style sure to entertain and elucidate, Lisa Randall demystifies the science and beguilingly unravels the mysteries of the myriad worlds that may exist just beyond the one we are only now beginning to know.  .
Franklin Watts. Very Good in Good dust jacket. 1969. First Edition. Hardcover. 0531017842 . HC/DJ - Very good/good minus. Hardcover very good - interior clean, a little soiling outer edge of pages. Rear cover has slight watermark but no wrinkling. Over 500 colour illus. Dustjacket has age tanning, a few edge tears and chips. Rear of jacket has some water damage and marking, also affects back flap of jacket. A compact pictorial reference includes over a thousand of the essential terms used in animal biology. [459-noto] ; 8vo 8" - 9" tall . Harper Collins. Fine in Fine+ dust jacket. 2006. First Edition; Fourth Printing. Hardcover. 0002007517 . Signed by author on title page. HC/DJ - Fine. As new other than a gift sticker from the Edmonton Journal on one endpage. No other markings. ; 8vo 8" - 9" tall; "Mammologist and paleontologist Flannery (The Eternal Frontier) , who in recent years has become well known for his controversial ideas on conservation, the environment and population control, presents a straightforward and powerfully written look at the connection between climate change and global warming....the heart of the book is Flannery's impassioned look at the earth's "colossal" carbon dioxide pollution problem and his argument for how we can shift from our current global reliance on fossil fuels [...]. 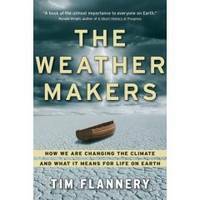 Flannery consistently produces the hard goods related to his main message that our environmental behavior makes us all "weather makers" who "already possess all the tools required to avoid catastrophic climate change. " ; Signed by Author . Howard W. Sams. Good+. 1980. Second Edition. Softcover. 067221783x . Tight, solid condition. Ex-library book with sturdy laminated cover and usual ex-lib type markings. Light soiling, light edgewear. Pages tight and clean other than the occasional light spot. A completely workable approach to mastering the phases & techniques of airbrush art. B/w & colour illustrations. ; 4to 11" - 13" tall . London: Edward Arnold. Very Good+. 1982. Softcover. 0713158409 . Reprint. Very nice, clean, tight condition. Pages are unmarked, a few light spots outer edge of pages. Cover has light edge & corner wear & price sticker. B/w illustrations. 376 pages. 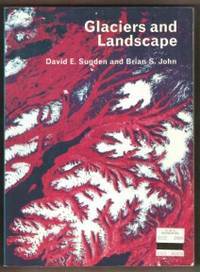 "A study of glacial processes and forms. Not only is it a critical and creative synthesis of recent research, but it also provides significant modifications to accepted theory and approach. In each chapter, the authors have proposed models and hypotheses as an aid to understanding and a stimulus to inquiry. At the same time, they present fundamental data from a wide range of sources, with particular attention to current work in Greenland and Antartica...." ; 8vo . Mayfield Publishing. Very Good+. 1996. Softcover. 1559345233 . Ex-library book, but still in very nice condition - sturdy laminated cover and usual type ex-lib type markings. Pages clean and intact. Cover has light wear to laminate edges and minor soiling to outer edge of pages. ; 8vo; "Feder addresses questions on some of the great scientific mysteries from around the world such as Stonehenge. 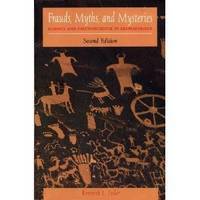 In this entertaining and informative exploration of fascinating frauds and genuine mysteries, he uses well-chosen examples to demonstrate what is--and what is not-- the scientific method. In the process, he clearly conveys why the veritable past is as exciting and intriguing as the fantasies concocted by the purveyors of pseudoscience...." b/w illustrations. 290 pages. [452-osl] . Thomas Y. Crowell. Good+. 1969. Softcover. Very good interior with good cover. Internal pages unmarked. Cover has moderate edgewear, rubbing to one edge and some small creases, light soiling cover & outer edge of pages. Directions for preparing abstracts, proposals, reports, memoranda etc. , as well as a handbook of style and usage. (*Shipping will be reduced on this lighter book) (175-osl) ; 8vo . Harper Torchbooks. Very Good. 1962. Sixth Printing. Softcover. Light edge & corner wear, fading to spine area, tiny peels where sticker was removed. Internal pages are clean and tight, a few small corner creases, age tanning to pages. 376 pages plus booklists. " Exceptional work examines Copernican revolution, discusses alchemy, astrology and Harveys discovery of the circulatory system, Galileos telescopic discoveries, much more. " ; 8vo 8" - 9" tall . Mcclelland & Stewart. Very Good+. 1988. Softcover. 0771053045 . Cover has very light edge and corner wear, light scuffing, old price sticker on front and price written on first endpage. Pages otherwise clean and intact. 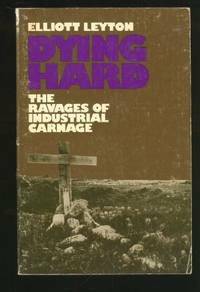 "The fluorspar mines of Newfoundland take a heavy toll in human life. And the tragedy there is repeated around the world in mining and other industries, unrecognized, ignored, denied, covered up -- or dulled and made distant by neat columns of impersonal statistics. " Elliott Leyton uses the techniques of anthropology to tell the stories of 10 miners and the terrible price they have paid for the "appalling, almost criminal irresponsibility of modern corporate industry. ". (os) ; 8vo . Tab Books. Good+. 1994. Fourth Edition. Softcover. 0830643478 . Ex-library book, but still in quite good condition - sturdy laminated cover and usual ex-lib. Cover has light edge and corner wear, small stain upper corner, light soiling outer edges. Pages clean and intact, light wrinkling to a few pages. 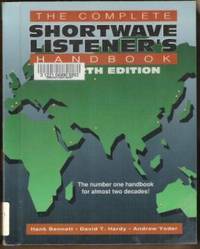 ; 8vo 8" - 9" tall; "Shortwave radio may be the most fun you can have sitting down, and this A-to-Z guide for everyone from absolute beginners to advanced hobbyists is your all-in-one partner in listening, with up-to-date information on equipment, listings of stations around the inhabited glove, clubs, satellites, and computers, and much more. 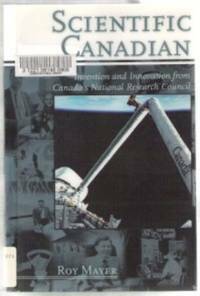 Written by a man who has "impressive talent as a writer, making him today one of the hobby's brightest stars, " according to Monitoring Times, this guide will alert you to pirate and illegal broadcasts, web sites full of helpful programs, and hard-to-find information to enhance every aspect of this exciting hobby. " . By Blood, Casey Ph. D.
Renaissance Books. New. 2002. First Edition. Softcover. 158063219X . New book - will have a small remainder marking to either top or bottom edge of pages. ; 8vo 8" - 9" tall; "In a world of political and social turmoil, can science tell us anything helpful? Can we make practical use of mysticism-the essence of religion-with its promise of a higher spiritual truth? Is it true that physics and biological science are incompatible with religion? Or can they be fruitfully reconciled? In this groundbreaking work, Dr. Casey Blood shows how quantum physics does indeed explain the true nature of the physical universe. He tells us how neuroscientists can provide an understanding of the way the brain makes sense of our inner and outer worlds. 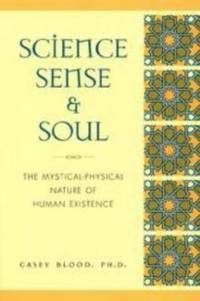 He also shows that neuroscience, in conjunction with a basic knowledge of mysticism, can clarify how and why meditation techniques and other mystical practices work. Most satisfying of all, he paints a world picture in which quantum physics is not only compatible with mysticism but also gives us a deeper understanding of spiritual matters... . (430-noto) .